Wild’s End, a new 6-issue full-color comic miniseries from Boom! Studios, is being described as “H.G. 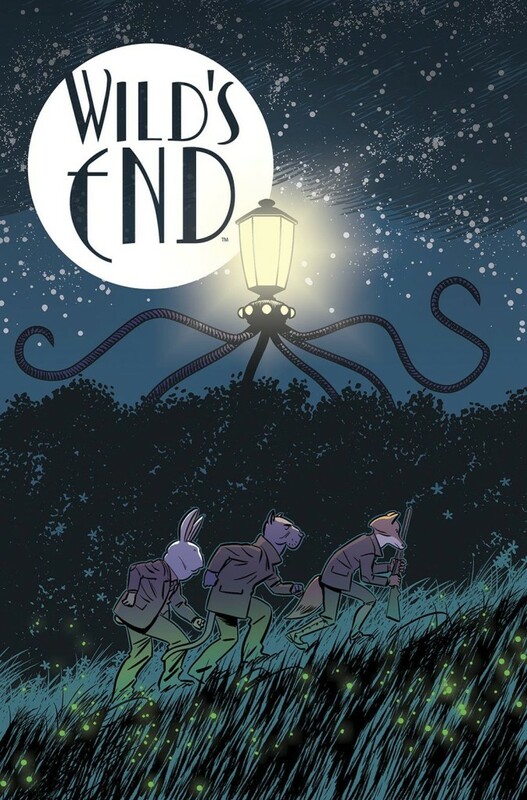 Wells meets A.A. Milne.” Only in this case it’s brought to us by writer Dan Abnett (Guardians of the Galaxy) and illustrator INJ Culbard (At the Mountains of Madness). “When a rural English community of the 1930s is the victim of an alien invasion, the residents’ lives are upended by the harsh realities of life-and-death violence. Led by the town’s outsider and retired war veteran, they will have to rally together to uncover the secret of their invaders and ultimately fight back.” Oh, those residents? They include a rabbit, a fox, a mink, and a hound dog. For more on how this collaboration came about, go check out the interview with writer Dan Abnett over at Comic Book Resources.